New equipment powered by diesel engines has become subject to increasingly stringent legislation regarding the reduction of emissions. Godwin Pumps has been working hard to make sure that their equipment meets US Tier 4 (European Stage IV) legislation on emissions. This means adapting their engines and thinking carefully about the requirements of the enclosures that house them. 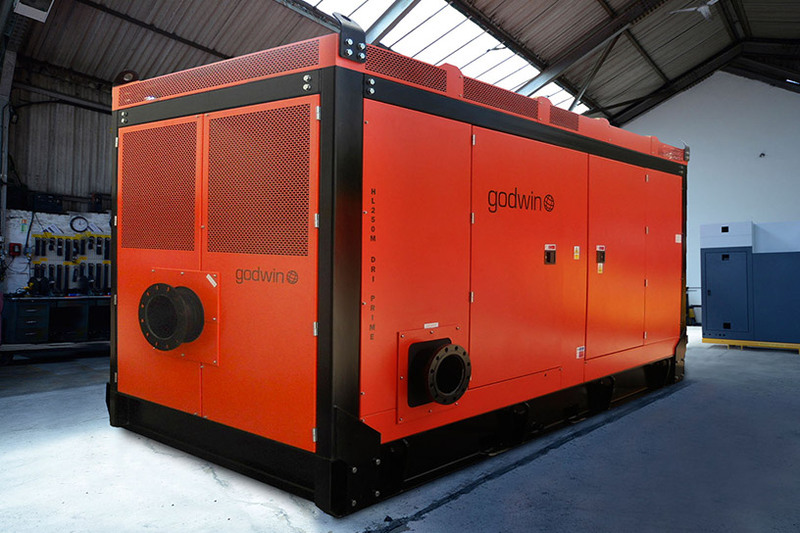 Godwin Pumps approached Amcanu with a challenge … to design and build an attenuation enclosure that housed all the new technology, increasing the airflow for the cooling of the hotter engine whilst ensuring the enclosure kept noise emissions to 65dB(A) at 7m or less. Find out how we met this challenge and exceeded the expectations of the client by reading the full Godwin Pumps Case Study.